You’ve heard his work on Venture Brothers and Archer. He’s remixed the Nine Inch Nails and was part of supergroup The Immaculate Consumptive with Nick Cave and Lydia Lunch. He’s performed under the monikers Xordox, Foetus, Clint Ruin, Steroid Maximus, and Manorexia. Now, JG Thirlwell comes to National Sawdust as himself. Hailed for making “real groovy damage music for smart people who are probably going to die early” (Noisey), in this show Thirlwell will play selections from his Foetus and Wiseblood projects, including renowned cult hits such as “I’ll Meet You In Poland, Baby” and “Throne Of Agony”, in addition to new works composed by Thirlwell and Simon Hanes of Tredici Bacci. His complex and primal music will be performed by an elite ensemble — with players on harp, viola, piano, acoustic guitar, and voice — formed at The Kitchen and making its public debut, with custom arrangements reeking of noir and futurist drama. This is JG Thirlwell like you’ve never heard him before. 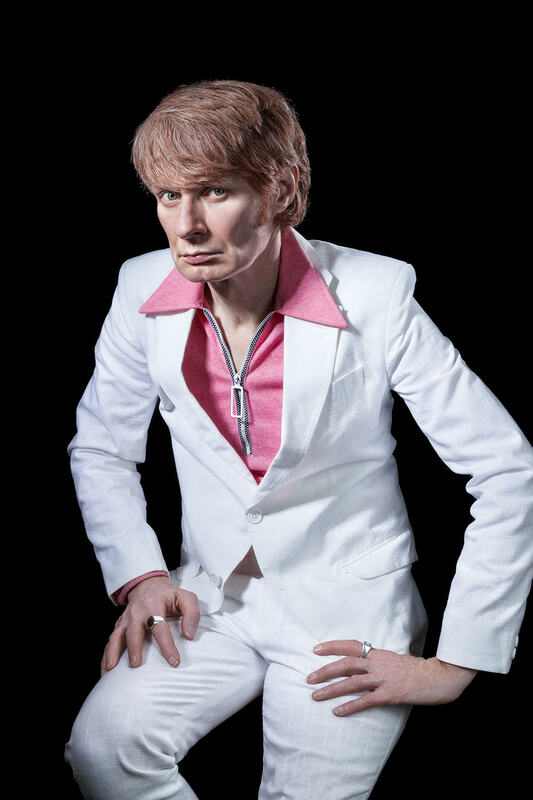 JG Thirlwell is a composer, producer, and performer based in Brooklyn, NY. Born in Melbourne, he moved to London in 1978 then relocated to NYC in 1983, where he has been based ever since. As well as making music under his own name, he works under many pseudonyms, including Manorexia, Foetus, Xordox, Steroid Maximus, Baby Zizanie, Hydroze Plus, Clint Ruin, and Wiseblood. He has released over thirty albums. If there is a common thread to his varied musical styles, it is a dramatic intensity and an evocative, cinematic quality. Thirlwell has also been featured as a producer, remixer, collaborator, or arranger for a wide variety of artists, including Karen O, Noveller, Excepter, Zola Jesus, Melvins, Swans, Nine Inch Nails, Lydia Lunch, Coil, Z’s, The The, Simon Hanes, Nick Cave, and many more. JG has completed commissions for the Kronos Quartet, Bang On A Can, Thyssen-Bornemisza Art Contemporary, Experiments in Opera, the Zephyr Quartet, the Great Learning Orchestra, and the League of Electronic Musical Urban Robots, and he is a member of the freq_out sound-art collective, who create on-site sound and light installations curated by CM Von Hausswolff. He is also an acclaimed graphic artist. In 2010, he received a fellowship from the New York Foundation of the Arts in sound/composition. He has created solo sound installations that have exhibited in Santarcangelo, Italy, and Kaliningrad, Russia. He performs live with a chamber ensemble version of his Manorexia project, as JG Thirlwell with his electro-acoustic Cholera Nocebo project, and with his electronic project Xordox. JG also creates the musical scores for the Emmy-winning FX show Archer, Adult Swim, and The Venture Bros (Cartoon Network), for which he was nominated for an Annie Award. JG has also created several motion picture scores. He has been completing a residency at Elektronmusikstudion in Stockholm, and has completed a composition for solo contrabass for James Ilgenfritz and a commission for solo cello for Jeffrey Zeigler. He also scored Tony Oursler’s film installation, Imponderable, which was on exhibit at the Museum of Modern Art in New York in 2017.